Ever wondered about the effects of exercising before, during and after diving? DAN AP’s Founder, John Lippmann, provides some general advice. 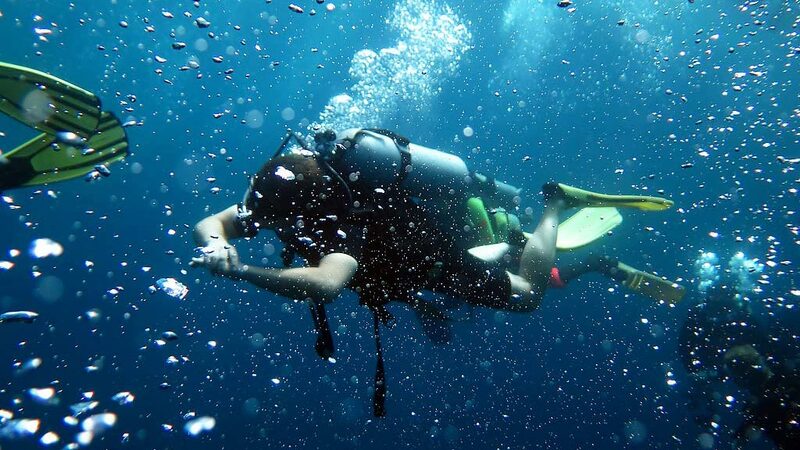 Exercise immediately before diving might be a problem if the heart rate has not settled to close to normal early into the dive. However, some more recent studies indicate that vigorous exercise before diving can possibly reduce the chances of DCI but the time period before diving has yet to be determined. Exercise during the dive increases the circulation so more nitrogen is delivered to, and absorbed by, tissues with increased blood flow. Exercise also increases carbon dioxide production, which in turn causes blood vessels to widen, further increasing blood flow to the tissues. There is strong evidence that moderate to heavy exercise during a dive increases decompression requirements and the likelihood of DCI. On the other hand, there is also evidence that mild exercise during decompression can increase inert gas elimination at that time (taken from “Decompression Illness” by John Lippmann). Exercise after diving has been shown to increase the likelihood and sometimes the severity of DCI. The exercise will increase turbulence in the blood and tissues and this can encourage bubble formation (somewhat like shaking a carbonated drink). From John Lippmann’s book “Decompression Illness”. Previous Previous post: Fiji Friday – Have you dived Vatu-I-Ra?